San Francisco, 1921. "Sonora Fire Dept. (Tuolumne County) REO trucks at Engine Company No. 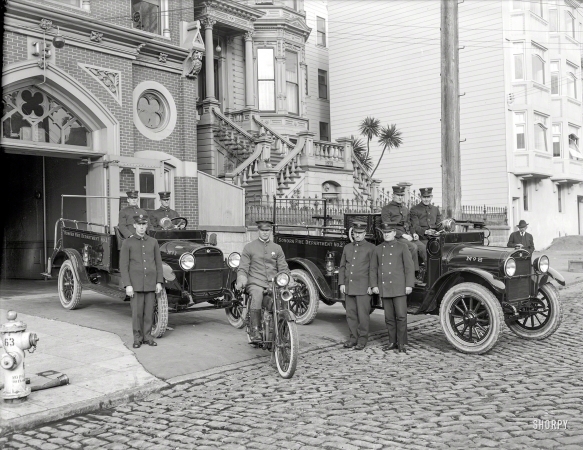 15 firehouse, California Street."